Tokyo-based venture company A.L.I. 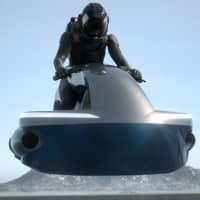 Technologies Inc. aims to release a mass-market flying motorcycle by 2022, Chief Executive Officer Shuhei Komatsu said. A.L.I. Technologies, which mainly develops small drones, hopes to sell the product, called a “hover bike,” in emerging economies in Africa, the Middle East and Asia with poor road infrastructure. Many companies around the world are developing flying cars. A.L.I. Technologies is among those trying to enter the market. “We’ll create a (flying) bike first, in order to get flying cars widely used in society eventually,” Komatsu said. 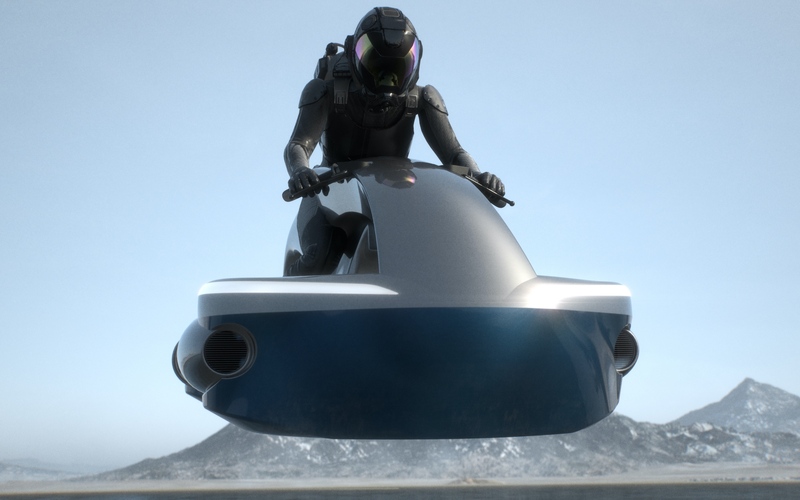 “Our hover bike is an ensemble of drone technologies,” he said, expressing confidence that his company can commercialize the flying motorcycle. The envisioned vehicle will use propeller power to hover dozens of centimeters above the ground. It will stay at the desired altitude through technologies that use sensors to avoid obstacles. A.L.I. Technologies is developing a special limited version for sale around late next year. Reservations will be accepted this May at the earliest. As for the mass-market model, Komatsu said, “We want to deliver it to customers from around 2022.” He said the price will roughly match those of minivehicles. The company hopes the flying motorcycle will be usable on public roads in Japan, according to Komatsu.